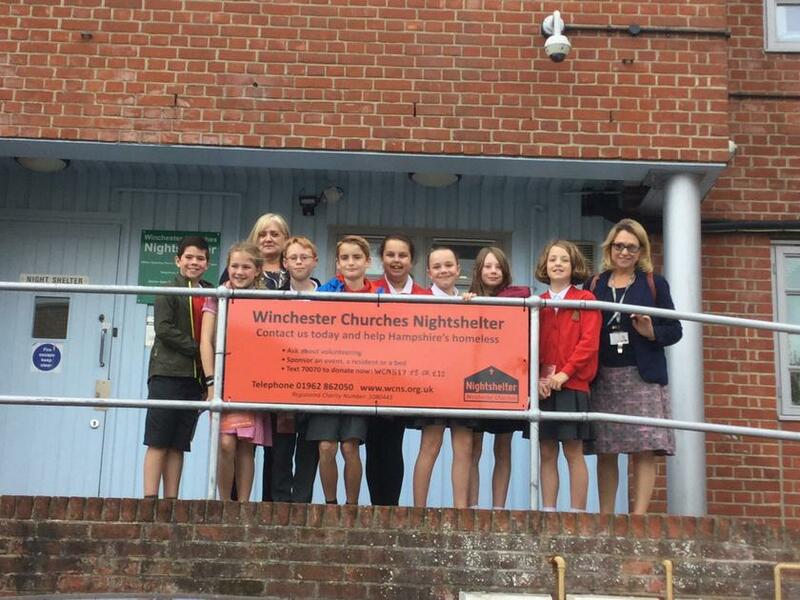 On Thursday the House Captains visited the Winchester Night Shelter and were shown round by one of the volunteers. The children found out lots of interesting facts that they are going to share with the rest of the school. They were surprised to find out that there are over 200 volunteers who help to run the Shelter saving over £100,000 each year. Each year the shelter has sufficient food donations to last most of the year. The things they do have to buy most are tea, coffee, milk, bread and toiletries. Following the visit the House Captains are keen to discuss the amount of food that is thrown away each day in the school lunch hall with the children.